I frequently wake up feeling worried. Every day feels like a chore. I often feel very overwhelmed and don’t know what to do. I always feel like there is some problem that I need to think about. Yes? It sounds like you worry a lot — possibly too much. Do people notice that you complain a lot or seem too hard on yourself? Maybe you often feel nervous during your day and wonder if it shows? If you worry so often that life feels easier when you avoid situations that cause worry, I understand. Are you frustrated by this pattern? Of course you are! Eventually, life can feel pretty disappointing. You know you have more to offer, but you feel stuck in your thoughts. Do you ever wonder how some people, with no more talent or capability than you, easily face situations that are overwhelming for you (like money, career, love life)? Do you feel broken, like others know something you just don’t get? 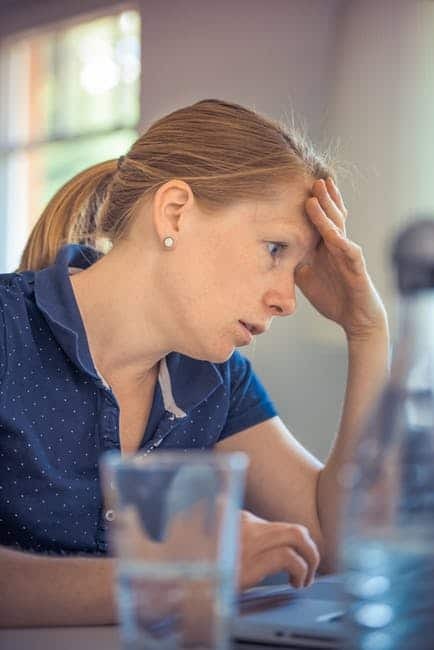 According to the Anxiety and Depression Association of America (ADAA), anxiety disorders are the most common mental illness in the U.S., affecting 40 million adults in the US age 18 and older, or 18.1% of the population. waking up feeling calm, confident and able to face your day. pursuing what you love without feeling anxious. feeling confident and motivated without all that worry. being free to speak, live and play without criticizing yourself. making a decision that you didn’t have to analyze to death. feeling safe and comfortable in your own body. knowing what makes you tick and how to calm yourself as you need. having fun with friends and not second-guessing yourself later. Does this sound impossible? Too good to be true? How much emotional space would open in your life if you weren’t feeling worried, guilty or pressured all the time? How much would your mental energy increase if you didn’t overthink everything? How fantastic would your body feel without the sense of worry you carry around? How many opportunities would you enjoy if you weren’t held back by worry and the insecurity that comes with it? My name is Ingrid Helander and worry is a topic that is near and dear to me. 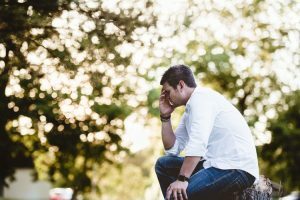 As a Marriage and Family Therapist, I get dozens of calls and emails every month asking for help with worry, anxiety, fears, stuckness, pain, confusion and the like. Over the past 15 years or so I have helped people who are frequent worriers to improve their lives. I understand the difficulty of chronic worry from the inside out. I’ve suffered with it for as long as I can remember. I am actually grateful to have lived a life that knows worry. It has motivated me to dig deep to discover what can really work for people like me — and you! Sure, sometimes I would get “the look” like: What is your problem? But generally, I made it through my day. But everything feels like effort. It’s exhausting. Ironically, it is chronic worry that almost kept me from pursuing my career as a therapist! Thankfully, other wise therapists noticed my enslavement to worry, and I found resources to move forward. But it is not easy. And one thing I do know, the cookie cutter approaches to calming worry, relieving stress and feeling confident seldom work. And for those of us for whom worry is really a way of life, one-size-fits-all suggestions are incredibly defeating. I cheer each time I see a client make a shift out of worry. The calm and delight they express is wonderful to witness. Thanks to extensive study of Internal Family Systems Therapy and The Polyvagal Theory of neuroscience, I am able to offer you the secret code that works in my life and so many of my client’s lives. Without these techniques, there is no way I would have opened a private practice, studied to be a yoga teacher, spoken to a crowd of 400 people – or written this book. 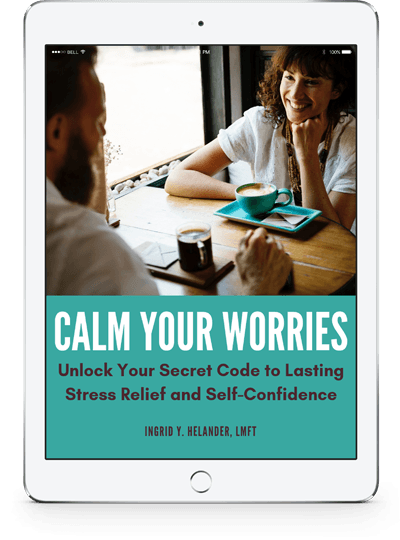 Calm Your Worries: Unlock Your Secret Code to Lasting Stress Relief and Self Confidence. Say "No more!" to chronic worry. No more holding back from what you’d love to try because you worry it will feel like too much. No more worrying about the fact that you worry all the time. No more helpless feelings sticking around for weeks because you cannot figure out what is bugging you. No more talking yourself out of worry just to have it come back with a vengeance. No more yo-yo living between staying super busy to outrun your worry and collapsing in exhaustion. No more hating the fact that you feel worried. No more arguing with friends about why you really do feel as badly as you do. …is harder to relieve the longer you live in it…can manifest in physical, stress-related illnesses…creates isolation and can strain relationships…feels like an exhausting waste of time…ruins your plans…is transmittable to others! Ready to make a change? Why wait another day? Let’s begin to practice your own plan to calm. 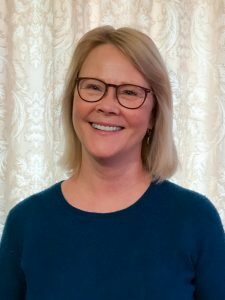 "When you introduced me to the parts work, I knew it was a good place to really explore many unresolved issues; it was a very natural and thought-provoking process." or do anything that makes me nervous." "What I am getting is a deeper connection to myself, an ability to be compassionate and loving with myself. It is the most meaningful work I have ever done!" 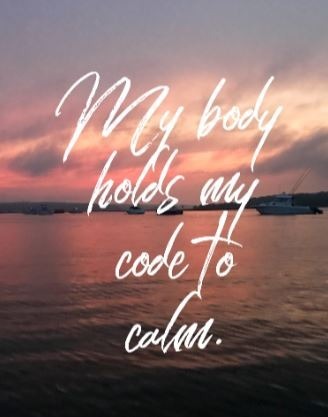 "Learning about my dorsal vagal, sympathetic and ventral vagal nervous system helped me understand my anxiety more and helped give me tools to get back to a safe and calm space. Thank you!" "You do not push anyone but rather help each person find the right answer within his or herself." That means you have a full 30 days to work through all the helpful information packed into the eBook. And if, in the unlikely event you don’t think the insights in the eBook are worth at least 100 TIMES more than it costs… just let me know… and you will receive a full and immediate refund. Can I feel better right away? Yes! In the book you will find practices and ideas that provide an immediate sense of calm. However, to achieve the lasting stress relief you really want, you will need to practice these methods consistently over time. You will notice your nervous system healing, your worried personality calming and your self-confidence rising month after month. And because you understand your own code to calm, you won’t waste time on fruitless efforts. What will understanding my body do for my worry? Everything! Worry, like pain, is a sensation in your body. When you get in touch with your worry at its source, using these techniques, you can do something about it. (Rather than just worrying about it!). What if I’m just “that kind of person”? Maybe it’s just my nature to worry. I do think that some of us are more prone to chronic worry than others. But you are not doomed to be a Worrier for the rest of your life. You will learn why you have been worrying for so long. And you will gently and reasonably guide yourself to calm and confidence. You’ll like the “true you” without all the extra worry! I’ve tried other things and they haven’t worked. What makes this approach different? In the book, you will see that although the other approaches you have tried sounded logical and mean well, they are not suited to your kind of worry. You will learn why your worry is sticky and tricky and needs your understanding to unlock. With Calm Your Worries, you will use the wisdom of your own body to experience calm.